While there's no word on when you can play the second of three new Final Fantasy XI scenarios. 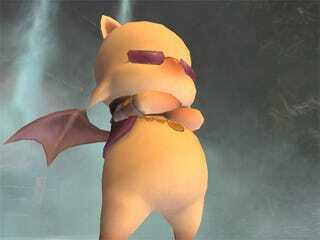 A Moogle Kupo d'Etat – Evil in Small Doses, now we know when you can buy it. Starting on July 5th, Final Fantasy XI players will be able to purchase the follow-up to A Crystalline Prophecy – Ode of Life Bestowing and the precursor to A Shantotto Ascension – The Legend Torn, Her Empire Born, ready to deal with evil Moogles when Square Enix sets it live later this summer. The only requirements you need worry about are that you own the Rise of the Zilart expansion and that you have a character who is at least level 10. If you don't meet those two requirements, then welcome to Final Fantasy XI. Nice to see new players still showing up.